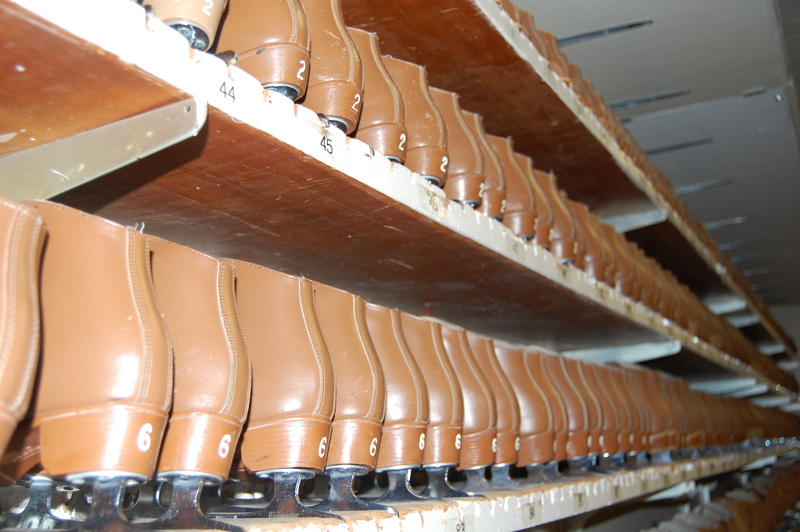 Sport clubs are an integral part of Recreation and Wellness for BGSU students. Freshmen are invited to a special Welcome Fair on Wednesday, August 24, where a representative from each sport club is on hand for students to learn more about what their respective club offers. Other students can attend Campus Fest on September 1 and receive information on sport clubs. There are currently twenty-three active sport club teams on campus including baseball, bowling, curling, cycling, dodgeball, equestrian, gymnastics, men’s ice hockey, men’s lacrosse, men’s rugby, women’s rugby, sailing, men’s soccer, women’s soccer, women’s softball, tennis, track and field, men’s ultimate Frisbee, men’s and women’s swimming, men’s volleyball, women’s volleyball, water polo and wrestling. A student participates in sport clubs for a variety of reasons. Some students, who were very good high school athletes, want to continue playing their sport, but not at the varsity level. They like the competitiveness and want to continue working out. A sport club gives students an opportunity to compete against other universities in organized leagues with officials, in a structured program, with practice only two or three days a week. Sport clubs’ athletic level is in between intramurals (more recreational and little practice) and varsity sports in athletic commitment. Students who participate in a club sport benefit by gaining leadership and organizational skills. They have more structure to their lives, have an opportunity to travel and meet students from other universities. These athletes continue to stay fit, are in shape and have a competitive spirit. All sport clubs are student organizations and must be registered with the Office of Campus Activities. Required forms must also be completed with the Department of Recreation and Wellness. To be eligible for membership, an undergraduate student must be enrolled in at least 10-credit hours or a graduate/non-traditional student must be enrolled in 6-credit hours. Each club needs at least ten active members with a faculty or staff advisor. Existing clubs may not be duplicated. However, if a student would like to organize a new sport club, he/she must petition to become a student organization. Based on the activity, competitiveness and safety level, a decision is made to be an acceptable new sport club. Sehmann cautions all sport club teams regarding the importance of leadership within the club. The leadership team comprising of the president, vice president, treasurer, safety coordinator and travel trip leader must continually bring in new and younger students into the program and train those individuals to carry on the program tradition. The annual change in leadership roles is necessary for the success of the sport club organization. For additional information see the Recreation and Wellness Resource Guide, visit www.bgsu.edu/recwell, or contact Scott Sehmann at sehmans@bgsu.edu or 419-372-2464. 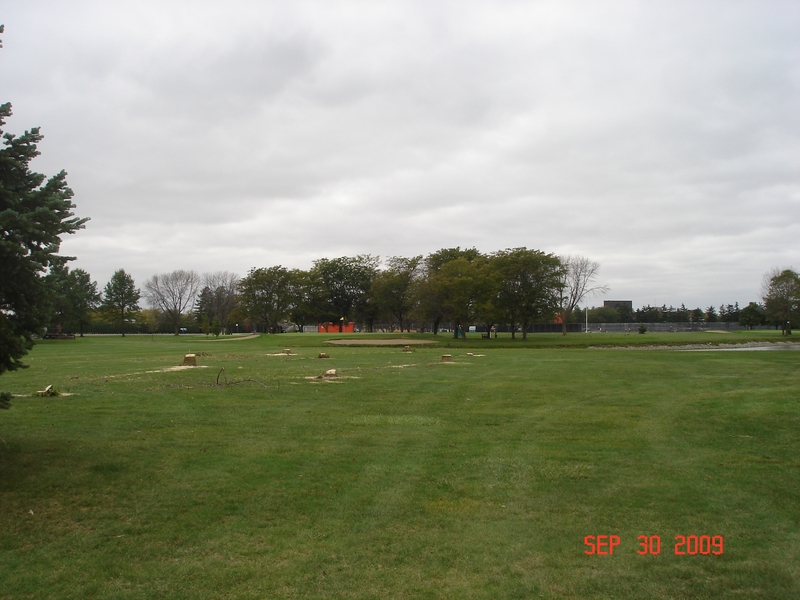 A special tree restoration campaign is currently underway to replace trees killed by the emerald ash borer. These little, green hungry beetles found their way on to campus effectively girdling hundreds of trees and causing death. One of the hardest hit areas on campus is at the Forrest Creason Golf Course. Named the ReForest Forrest Creason Golf Course Campaign, this project is inspired by devoted members of the Forrest Creason Golf Course who witnessed the destruction of 167 trees between 2007 and 2009. Contributors can easily donate to this vital campaign. A gift of $250 provides an opportunity to select a specific tree from the Forrest Creason Golf Course Master Tree Plan and designate the gift in honor or in memory of a special person. Any gift amount by check, cash or pledge goes a long way toward purchasing a tree. The vision of Forrest Creason Golf Course is to be the best public golf course in the area. Maintaining the course is vital in keeping the grounds in excellent condition. “The staff is constantly trying to improve the golf course by making it better and a more enjoyable experience for everyone,” Thomas said. Replacing the 167 trees may take up to five years, although Thomas hopes the tree planting process is a little quicker. Thomas consults with tree expert Kent Reichert on the types of species and varieties of trees that would not be harmed by the emerald ash borer. Last fall 32 trees were planted from limited operating money and plans are to continue replacing trees every fall until all the trees are replaced. The Campaign’s success is critical in making the tree replacement a reality. The ReForest Forrest Creason Golf Course Campaign tri-leaders are Thomas, assistant director of marketing at Recreation and Wellness Lona Leck and assistant golf course director Lindy Powers. They are available to discuss the campaign and answer any questions. Please find gift forms and details about the campaign at www.bgsu.edu/recwell/golf or contact the Forrest Creason Golf Course at 419-372-2674. Supporting the Reforest Forrest Creason Golf Course Campaign with a tree purchase enhances the aesthetic appearance and provides a more challenging golf experience to the game. Make a gift today! 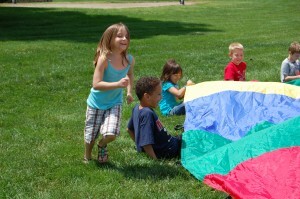 2011 Summer Kids Camp – Activities Galore! Summer vacation is almost here, but kids don’t throw those backpacks in the closet that carried books back and forth to school just yet. On June 6, Summer Kids Camp begins and the backpacks transform into camper backpacks carrying swimsuits, sunscreen, water bottles and lunchboxes. The eight-week Summer Kids Camp ends July 29. The 2011 Summer Kids Camp continues its outstanding programming established from years of leadership experience and success. Kids Camp for kids, ages 5-12, emphasizes physical development and education while promoting a healthy lifestyle. Some children return to camp every year and make new friends. They have new learning experiences while having a lot of fun. 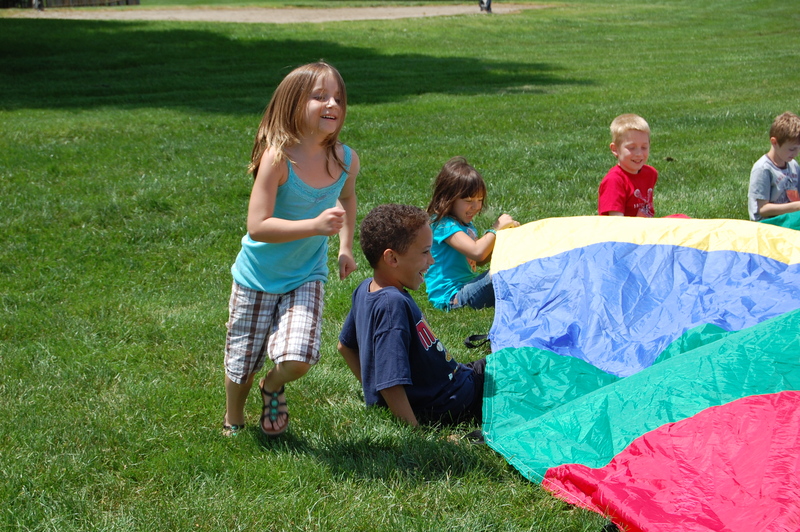 These campers can participate in activities that are not available at home or at other camps. “We do lots and lots of fun activities with the children that they cannot get at a daycare,” said Micha Alt, who has directed Kids Camp since 2006. “We rock climb, ice skate, go swimming every day and include wellness and fitness components.” Other physical activities in which the campers partake include golf, volleyball, basketball, badminton and track and field. Kids Camp has great resources at Recreation and Wellness facilities including the Perry Field House, BGSU Ice Arena and Forrest Creason Golf Course to participate in their activities. The campers also go on walking field trips to the Sebo Center or other places of interest on campus. Asked about her favorite part of Kids Camp, Alt said, “There are so many wonderful aspects of Kids Camp I really can’t pick one.” However, one particular activity Alt does enjoy is the scavenger hunts that are especially popular with the children. “The excitement of the children is enjoyable to watch,” Alt said. Every week Kids Camp has a witty theme in place: Falcon Frenzy, Into the Wild, Wacky Wonderland, Underwater Adventures, Mad Science, The Places We will Go, Around the World and BG’s Got Talent. Children who attend Kids Camp are in good hands. The camp is administered by Recreation and Wellness professionals and BGSU graduate and undergraduate students with special training in safety, human relations and interpersonal skills with children. The dedicated camp staff is First Aid and CPR certified for the Professional Rescuer with AED and passed the mandatory background screenings. Full-time camp costs $119/week and part-time camp is $79/week, with 10 percent discount applied to BGSU employees or families with more than one child’s registration. Register at www.bgsu.edu/recwell and click on Community, Youth & Family on the left menu, by E-mail at kidscamps@bgsu.edu or in person at the Student Recreation Center front desk. For more information, contact Camp Director Micha Alt at 419-372-7482 or 419-372-2000. Sign up the kids today for a fun summer camp at BGSU!